Here’s hoping you are enjoying time with your family and friends during the Thanksgiving holiday! Just dropping in to let you know our Thanksgiving holiday sale is going strong, now through Monday, December 2. 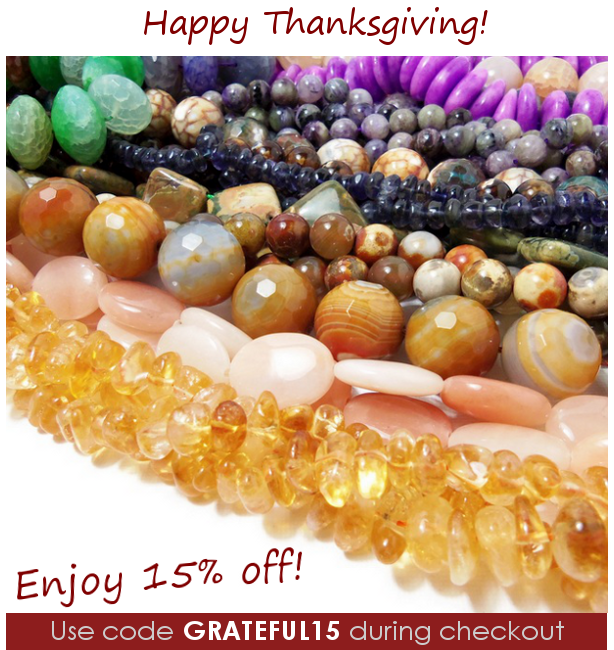 Use code GRATEFUL15 to save 15% off your purchase! This sale is running on our full website and our Etsy shop! For max savings, checkout at the website and you’ll also receive FREE SHIPPING on orders over $40 traveling within the US! Next Say “I Heart You” with Beads!